Professor Yongheng Deng is a Provost’s Chair Professor and Head of Department of Real Estate, a Professor of Real Estate and Finance at the School of Design and Environment, and NUS Business School. He is also the former Director of the Institute of Real Estate Studies (IRES) at the National University of Singapore (NUS). 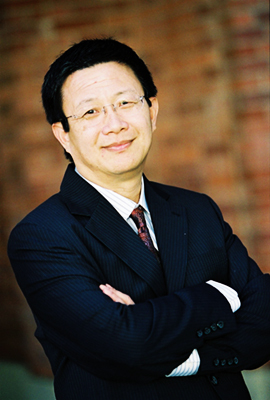 Professor Deng holds several other positions in addition to his academic roles. He has chaired the World Economic Forum’s Global Agenda Council for Real Estate, and was the Vice Chair of the Forum’s Global Agenda Council for Financing and Capital. In these capacities, he spoke at WEF`s Annual Meeting in Davos in Switzerland, and at WEF`s Summer Davos Meetings in China. Professor Deng is co-chairing the UN Sustainable Development Solutions Network (SDSN) Singapore Chapter, the initiative launched by the UN Secretary- General Ban Ki-moon to mobilize global scientific and technological expertise to promote practical problem solving for sustainable development. Professor Deng also serves as a special advisor to the Bank for International Settlements (BIS) Representative Office for Asia and the Pacific. He has served as a subcommittee member of Economic Strategy Committee of the Singapore Government. Economics Association (AREUEA), the first Asian ever to helm this establishment. He is a recipient of the American Real Estate and Urban Economics Association Best PhD Dissertation Award. He has published in leading economics and finance journals such as Econometrica; Journal of Financial Economics; Review of Finance; Journal of Urban Economics; China Economic Review; European Economic Review; Regional Science and Urban Economics; and Real Estate Economics, etc. Professor Deng completed his PhD in Economics at the University of California at Berkeley, and was a post-doctoral research fellow at The Wharton School of the University of Pennsylvania.